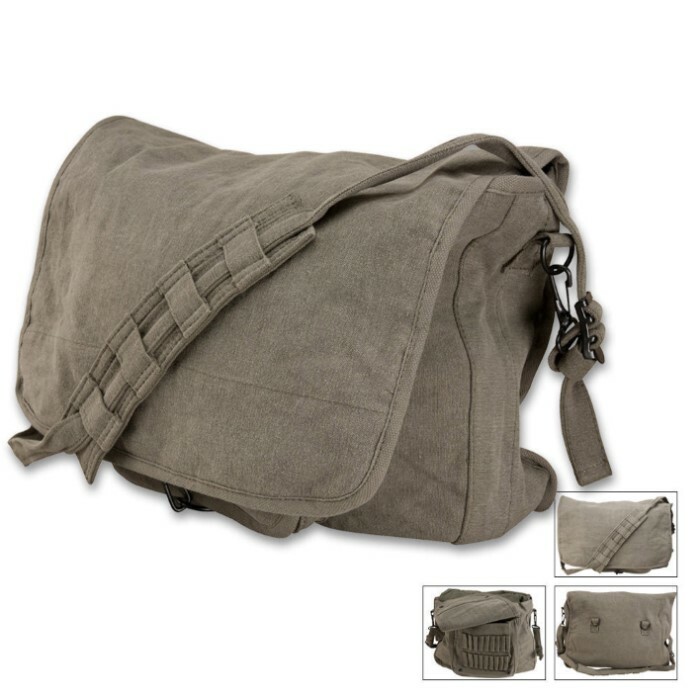 Constructed of stone-washed 100 percent cotton canvas with dark gun metal shade, you'll feel like you're carrying your gas mask awaiting the cold war going hot. 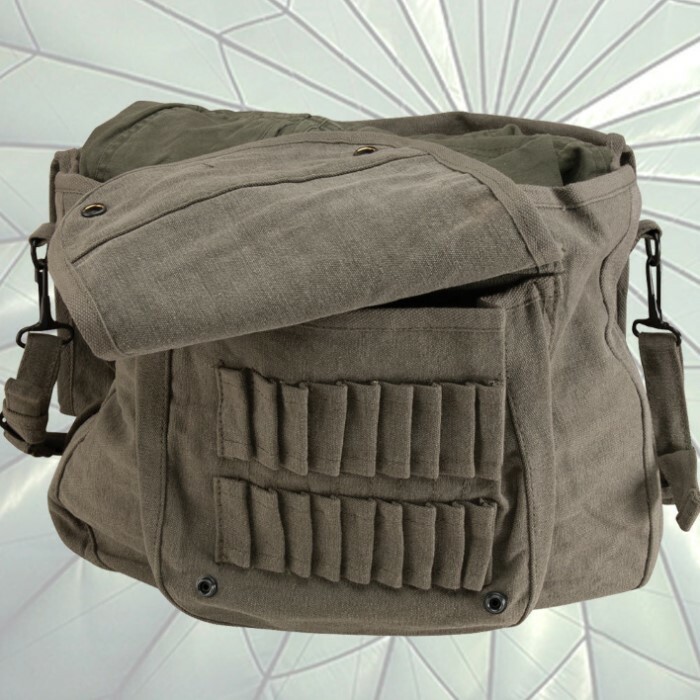 It offers 3 inner compartments and 1 outer compartment with snaps and ammo sleeves. An adjustable shoulder strap ensures this bag will always be right by your side at the right height for you. 15 in. x 11 in. x 4 in.